Too often the focus of healthy eating is on, “What should I eat?” However, eating well involves answering a second question too, “When should I eat?” Today I am providing some practical tips to help you answer this question. This will involve you reflecting on how you usually eat and whether it is working for you. This process naturally uncovers a third question, “Why should I eat?” I will cover this question in next week’s blog post. When I am asked this question, as I was by a member of the Eating for You Facebook community recently, my immediate response is always, “when you are hungry.” This seems like a very simple response, but when we assess how well we respond to our natural hunger and satiety signals we realise that we do not always eat when we are hungry, or stop eating when we are satisfied. Mindful eating is a practice that I recommend, as it helps you to tune into these natural eating cues. Tip #1 Tap into your natural appetite signals: eat when you are hungry and stop eating when you have had enough to satisfy your hunger. Tip #2 Pause before you eat, and whilst you are eating, so you can check and respond to your appetite level. Eastern medicine recommends that we eat most of our food in the first half of the day. 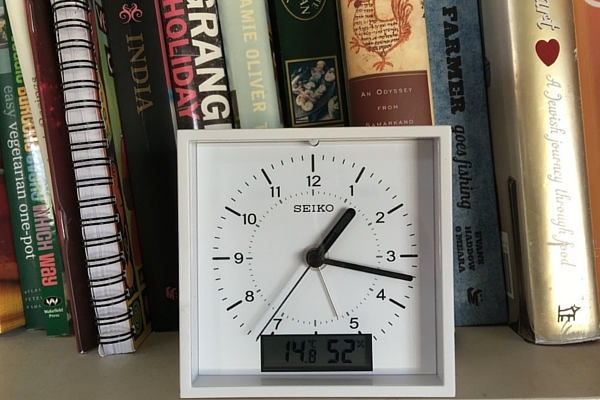 Traditional Chinese Medicine refers to the 24-hour body clock, which shows that our digestive organs are most active in the morning, making this time the best time to eliminate wastes, and digest and metabolise food. A few studies from Western science also indicate that eating a larger breakfast and lunch and smaller evening meal is more suitable for managing blood sugar levels and body weight. Tip #3 Eat most of your food in the first half of the day. If you have work or other commitments during the day that make eating a larger breakfast and lunch a challenge, then gradually increase the size of breakfast and lunch, and choose lighter foods for your evening meal e.g. salads in summer and soups or vegetable based casseroles in cooler weather. Tip #4 Choose light foods for your evening meal and aim to finish eating by 7pm. If your eating patterns are erratic, or you tend to eat most of your food in the second half of the day into the evening, then I recommend keeping a food diary for a week. A food diary will help you to uncover what influences your pattern of eating. What I often find is that we establish habits, and never review whether they work or not. Perhaps you have some habits that are due for an overhaul? Tip #5 Keep a food diary for one week to uncover what influences your choice of foods and the timing of your meals and snacks. The other popular question is, “Should I eat breakfast?” The short answer is “yes”, the longer answer requires you to reflect on when you last ate, and whether you feel hungry at your designated breakfast time. My suggestion is to eat breakfast when you are hungry. This might mean that you do not eat until 11am. It also might require you to eat a lighter earlier evening meal, so you have good appetite for breakfast at some time between 7am and 11am. Tip #6 Eat breakfast when you are hungry. There are practical social, family and work commitments that influence when we eat. I will discuss these next week. I will also explore how many meals and snacks are ideal for you during the day. The answer to “When should I eat?” involves assessing our health and lifestyle requirements. 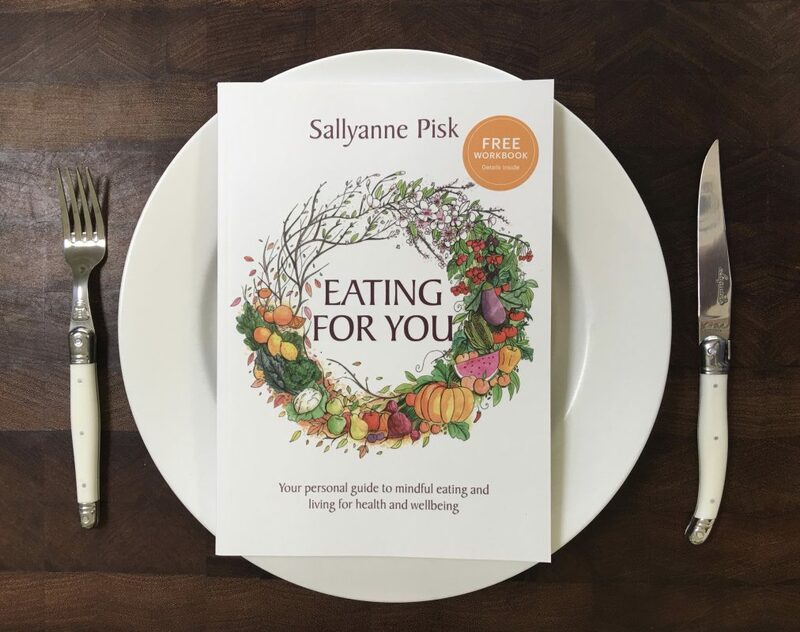 Eating for You provides additional reflection tools and a complimentary workbook to support you in devising the best way of eating for you.